Click on the “Login” button located at the top right corner. 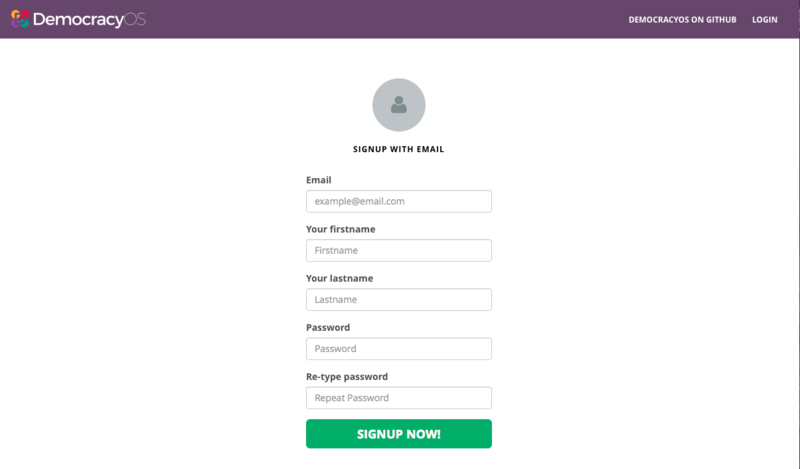 Then, you’ll have to register by entering your name, email, and the password you want to use. you’ll receive an email to validate yourself, you have to “click here”. 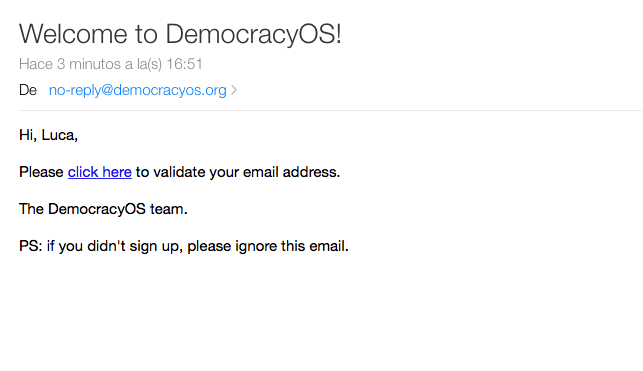 At last, you’ll access to the platform and will be able to use DemocracyOS normally.